The Consumer Electronics Show (CES) is held every January in Las Vegas and is arguably the most important and anticipated electronics show globally each year. This year was no exception. In fact, this year’s CES was one of the most exciting electronics events we’ve seen in recent years. If you are not familiar with CES or aren’t a tech and electronics aficionado, you are probably wondering what could have happened this year that left such an impression on the electronic world. 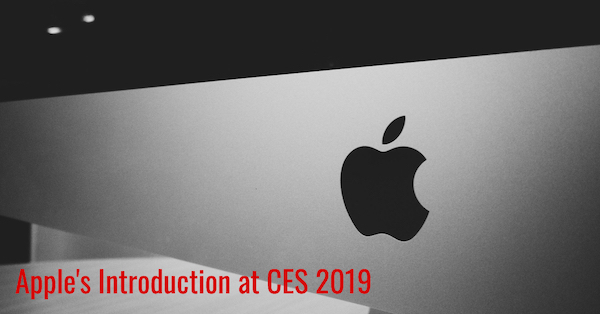 Apple happened to CES 2019. And Apple didn’t just happen, but the behemoth-multinational technology company joined CES for the first time EVER in 2019. That is big when you consider that giants like Samsung, Google, IBM and Microsoft have long attended the conference to unveil new products and boast their trendsetting technologies. When Apple, for the first time ever, threw their name into the CES ring, the tech world started to buzz. Apple has historically and quite famously unveiled new products on their own via independent and dramatic pageantry. Their exclusive events draw attention worldwide as their latest cutting-edge technology is showcased by the current Apple CEO in front of thousands of eager tech journalists and experts. We’d be lying if we said we didn’t love it. On that note, we’d also be lying if we said we didn’t love the mystery of Apple joining CES. At CES 2019, Apple made a joint announcement with Samsung that iTunes would be available on all Samsung TVs without the need for added cables or contraptions. This announcement may seem underwhelming to the untrained eye, but as we dig deeper into the current state of the industry, we see what this partnership might mean for Apple’s long-term strategy. The 2018 sales of the latest iPhone models were unimpressive. The company’s stock price dove 9% in recent weeks. And the company’s hiring trends has all but halted as a result. As companies like Google and Amazon have started to squeeze Apple’s market share, they have also made strategic alliances with other powerhouse companies (think Amazon + Sonos). Which is something Apple has yet to do – until now that is. The integration of iTunes on Samsung televisions is the first time Apple has ever allowed third-party devices to access its video library (outside of Windows PCs). Such a long-awaited move from Apple gives us good reason to anticipate forthcoming, larger than life announcements from Apple as they attempt to make a name for themselves in the world of streaming services.